Here was my setup. Luckily my friend Nate lent me a mouse. I already knew I was going to do an JRPG going in, because this is the seventh Rude Bear, and there was no way RBVII wasn’t going to be a Final Fantasy parody. I kinda needed to sketch everything up myself for this since I wasn’t with my housemate, and it would’ve been too much work for him, so I made the world really roughly. 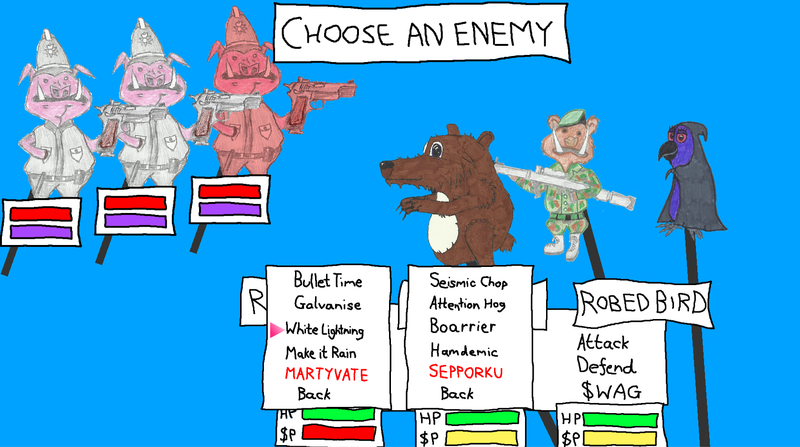 I started out by doing the battle system, using puppets like the original Rude Bear, because there was no chance I’d get assets in time. My housemate later redrew these. The whole battle is entirely realtime. This can be confusing, and hard to control, and I should’ve really implemented controller controls, but that would’ve been super slow to use for a start in comparison to getting good with the mouse, but also I only had one xbox controller there and it was plugged into SRBR. And a bunch of trig. I just take a lot of anchors and use kludges. I saved time on large attacks by just making one particle system and reskinning it for the various spells. A few of the attacks are bigger. Initially everything was based on elements but I couldn’t think of symbols for element indication so I ended up just wiping that. Also you could originally heal yourself with your group attacks and stuff like that but it was getting too convoluted. In my friend Nate’s words, “Keep it simple, stupid”. I started out with the world by sketching it (but I’ve lost the sketch unfortunately). As well as Crono’s house, Oak’s lab, a crypt etc. I threw together two tracks from Earthbound and Oak’s lab, and adapted three old tracks I’d already charted by ear from Chrono Trigger, Pokémon and Super Mario RPG. 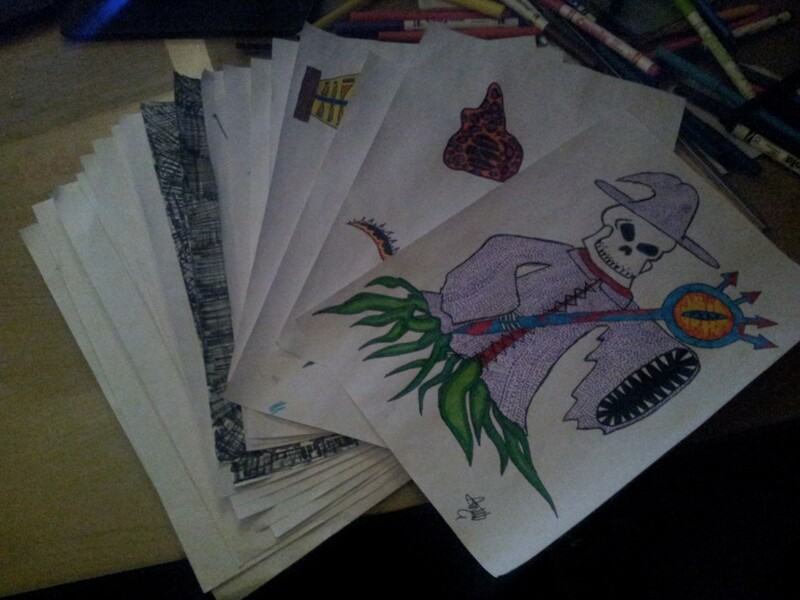 From home my housemate drew the art we used for puppets. Unfortunately I had no internet connection, so I could only grab art now and then either by tethering or going to the LAN hall (which I did a couple of times because some kids were being really loud at 4am on the campsite and I wasn’t getting any work done). I slept around 4 hours every night. I was up till about 6 mosts nights just coding. We drank a lot every night so I was pretty alert (especially on the last night, we had an open bar). We didn’t manage to get rooms this time so I had to camp. 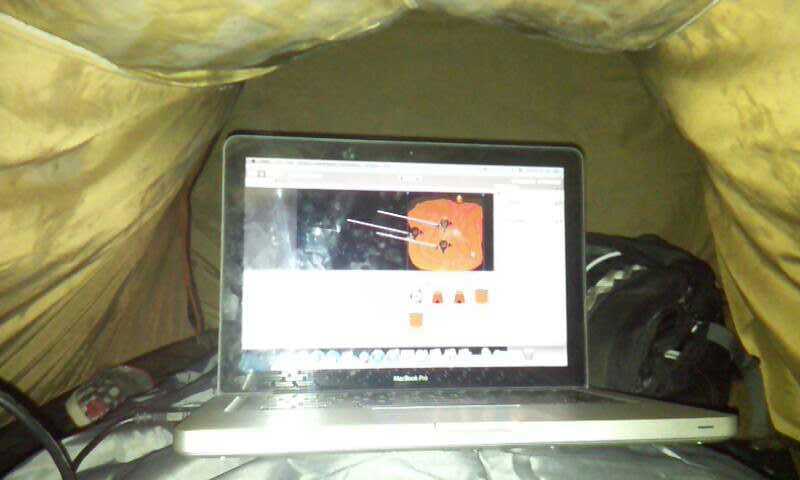 Extremely cramped in there with a laptop too but this is pretty much the setup I was working with. And just stuck colliders on everything. The movement’s a very simple rigidbody2D, and all menus are just activated with raycasting. I was basically jamming everywhere, trains, bars – it took all my restraint not to get out my laptop during the pub quiz. I was worried people would think I was googling the answers or something. 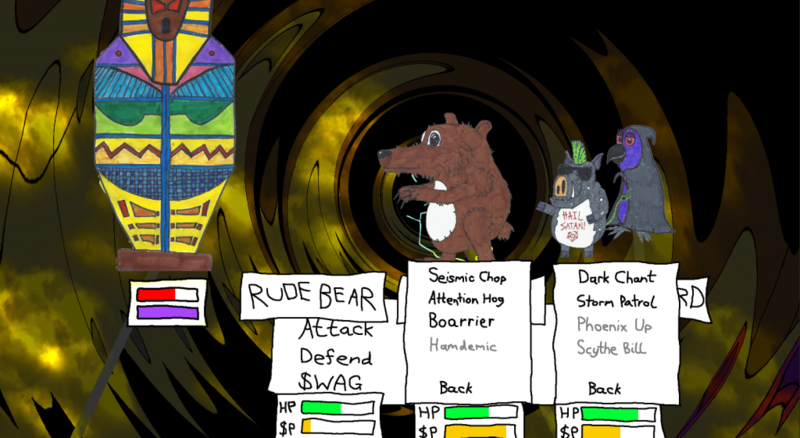 Eventually I adapted a shader from Super Rude Bear Resurrection to make Earthbound looking battles. It just loaded in the background of the previous area each time. My friend SonnyBone and I were running an optional theme, “Marilyn Manson” too, and I promised to put the character Rad Boar with a Mohawk and sunglasses in too. 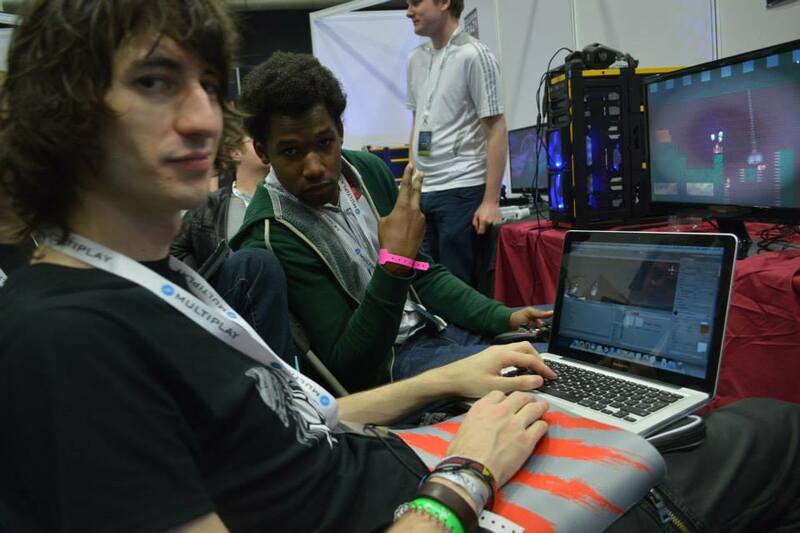 But given I was at Insomnia and showcasing my game at the same time, I couldn’t really. On the last night just before I went to bed I made a list of everything I needed to do at home, and streamed the last 6 hours (which was the implementation of the snakes, volcano monsters, pyramid monsters, cyberdemon and final boss). I’m pretty happy with the amount of dialogue, 15 moves, an entire world and 14 monster types each with a different attack pattern. Then I had some problems with my server, which was very stressful, but overall I’m pretty happy with it. I’m sure I’ll learn of more problems as more comments appear. 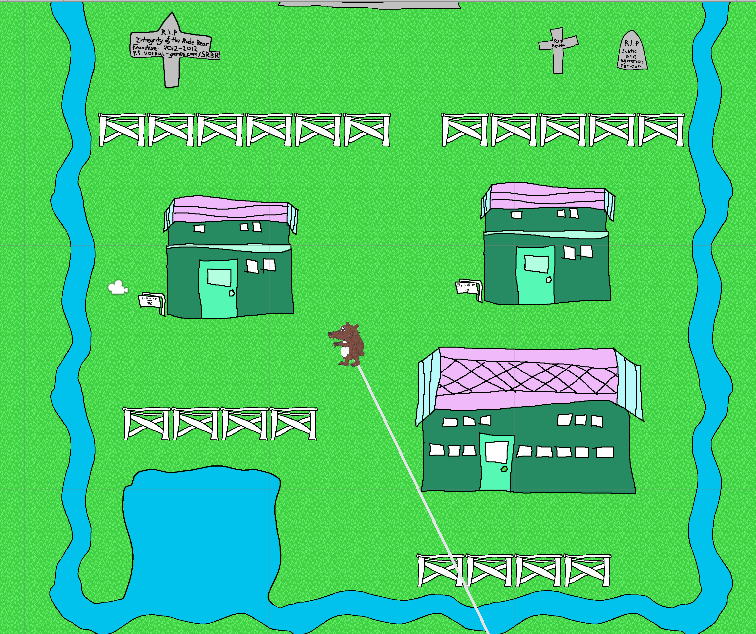 You can play it online in a browser here, download it for Windows here, and the LD48 page is here.